On sale now but only while supplies last. Don't delay, this is the last of our stock so once it sells out its gone! 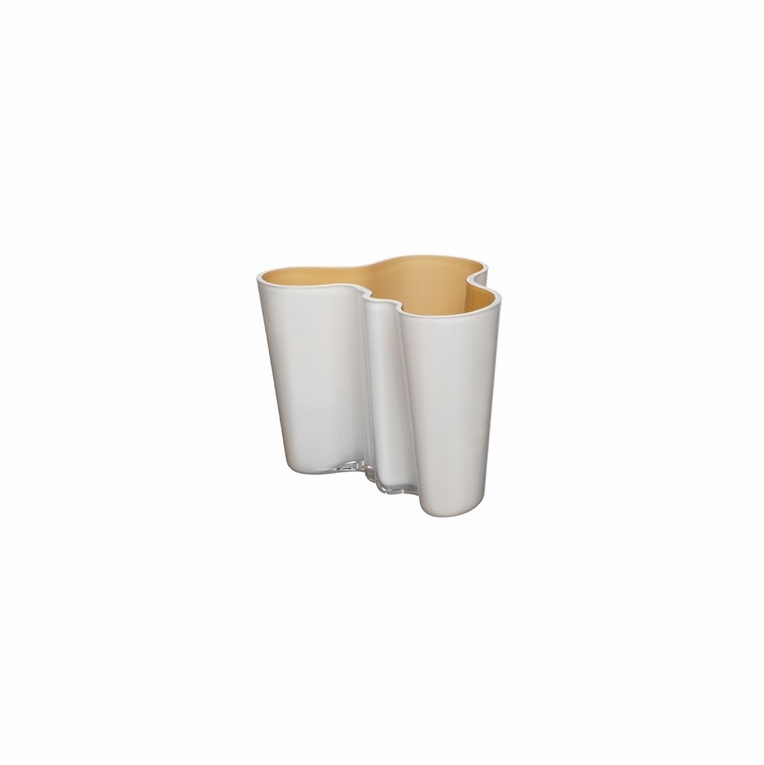 iittala released this modern white and brown cased Aalto vase to celebrate the 70th anniversary of the remarkable Aalto vase. This beautiful glass vase brings out the inner and outer shapes of the Aalto vase in remarkable ways. The outside of the vase is a white (opal) glass and inside is cased with an light nut brown that changes color with light. These Finnish vases from one of the most prominent designers of the 20th century are a must-have for your modern Finnish design collection.